What’s it like to be a bird? When you live in the busy city, it’s an incomparable experience to be above all the hubub, the streets, the houses and look out from your own perch in the trees. 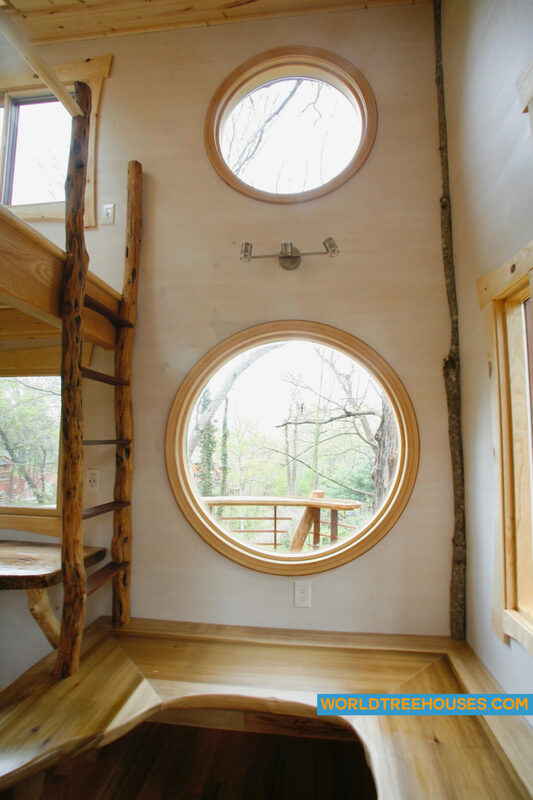 Rachel, the owner of her own treehouse nest built by World Treehouses, says, “Inside, my treehouse truly feels like a magical space of sweet solace.” Contact World Treehouses if you want your own treehouse retreat so you can enjoy your perspective, gazing out above it all.